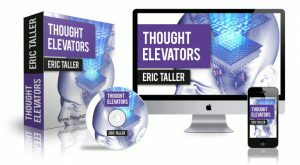 →Eric Taller’s Thought Elevators Review – Is This System Worth Your Money? Now, is that really possible? Well, theta state is not an unknown state of mind; we all experience it when we are in deep sleep. Also, meditation and hypnosis can take you to that particular state of mind where the brainwave frequency ranges from 4-7Hz. You can reach to that state by simply using any meditation method, I would advise you to try vipassana meditation and with a little practice you can be there, it won’t take you a lot of time like what Eric says in his presentation that it used to take more than 3 hours for him to complete the four steps where he takes himself to theta state in order to pass the positive suggestions to his inner mind. Many great things can be done in that state and also the methods that I use for visualization first relaxes your mind so that it can jump from the beta state to the alpha state and then go to the theta state when you get better at it. Going to the theta state is very effective as you establish a direct connection with your inner mind when you are able to do it. See, this is not something that you cannot do on your own, but having a product with you that makes the process easier and acts as a guide definitively makes things better. What Is Thought Elevators System? 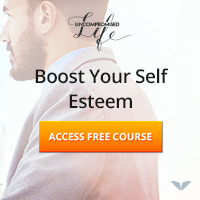 What this product basically does is that it implants various positive suggestions in your subconscious mind so that you could achieve success in any specific area of your life. These suggestions are in the form of subliminal messages in videos and audios that are provided in the program. Don’t worry, it is not that you won’t be able to see or hear these messages, you will be able to know what is going inside your mind. What happens is that first, you will have to watch a video that will be containing these messages, even though you won’t feel anything on the conscious level, these suggestions sinks deep into your subconscious mind. The same is done with the audios, but the sounds played with it will take your mind to the theta state about which I have talked above and thus these messages will have a great impact on your inner mind. The package mainly consists of 9 thought elevators for various different purposes like money, relationships, health, speed learning, etc. Each thought elevator has a 3-minute video and an audio that will work to rewire your brain for success in the area for which you have chosen that particular session. You will also get a quick start video as well as an eBook in order to get guidance on how to use the product. Success While You Sleep – It is just like the audios of the main program, which you will be able to use before sleeping, the suggestions will reach your subconscious mind even if you fall asleep and the sounds will keep you in the theta state. How to Plant a Money Tree – This is a small book in pdf format that teaches the techniques that will enable you to earn passive income. Recognizing Your Soulmate – An eBook which will help you with your love relationships and it also guides how to identify the right life partner. I Love Myself Workbook – A book containing various exercises that will help you to develop a greater self-love than before. Manifesting Health for Boomers – As the name suggests, this eBook is all about getting the perfect healthy body you desire for. 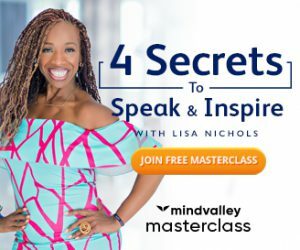 I can assure you that reaching to the deeper levels of your mind and implanting suggestions there can work miracles because when you learn to use your subconscious mind power, anything is possible. However, I know it is not true when the author says that he has created this method because many other products have been made around this same concept. It works, it definitely does and I believe you will surely be benefited with the use of this program if you stay consistent with it, but since I am not a big fan of brainwave entrainment, so I won’t be using this product much. That does not mean it won’t be suitable for you too, if you are interested then you can definitely opt for it and see how it works for you under the refund period.